Procedures, including very complex ones, can be executed for all defined Virtual Network Functionalities. 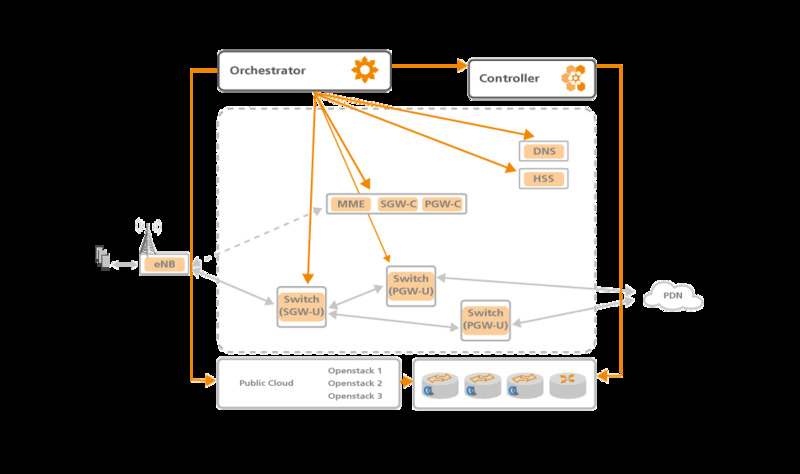 The OpenSDNCore orchestrator makes network functions placement decisions and allocates computing, storage and data center network functionalities on top of the heterogeneous infrastructure. 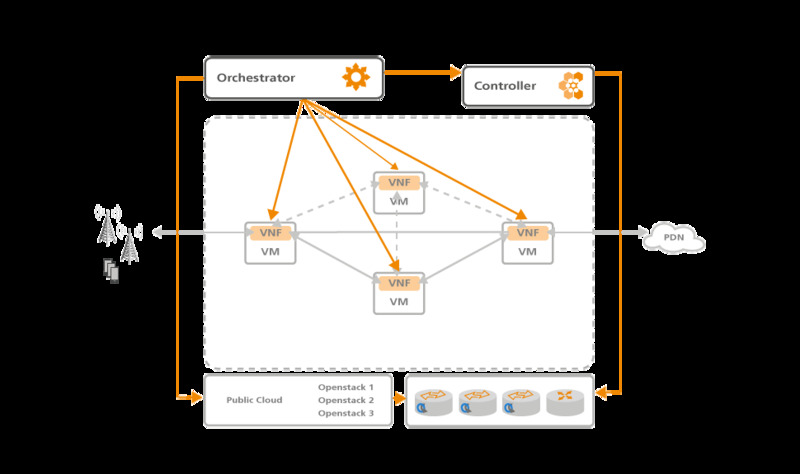 The orchestrator also indicates the controller to allocate heterogeneous network information and configures the Virtual Machines (VMs) and the Virtual Network Functionalities. Dependencies can be added dynamically through runtime orchestration. Interaction with external entities e.g. phones, eNBs and phones is supported. 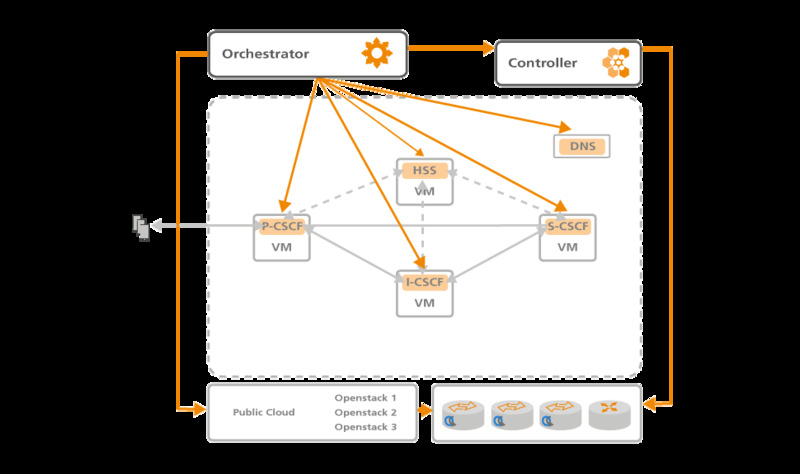 OpenSDNCore allows the virtualization of the IMS and EPC functionalities. These can be distributed in different ways, resulting in different architectures.